Frank and Chila Covington could hardly be mistaken for cruel. For four decades, they showered their daughter, Ceci, who has Down syndrome, with love, affection and opportunity. But when they argued with a group home provider who insisted that Ceci needed psychotropic medication, their world turned upside down. In the time it took for the provider to accuse the Covingtons of “cruelty,” a Tarrant County judge called a secret hearing and removed their guardianship, telling them they could no longer communicate with their own child. And he had every legal right to do so. Frank and Chila Covington could hardly be mistaken for cruel. They cared for their disabled daughter at home in an era when many parents turned to institutions — showering Ceci, who has Down syndrome, with love, affection and opportunity. After her brother and cousins went off to college, they enabled Ceci to "graduate" in her own way: They found her a group home with two other young women. But when the Covingtons argued with a group home provider who insisted that Ceci needed psychotropic medication, they lost their daughter entirely. After the provider accused the Covingtons of “cruelty,” a Tarrant County judge called a secret hearing and removed the parents’ guardianship, barring them from seeing the child they’d spent four decades raising. “Ex parte,” or emergency, removal hearings have been legal in Texas guardianship cases for nearly two decades. They're designed to rescue incapacitated people in immediate danger. But in some courts around the state, advocates say, they’re being used to remedy even routine disagreements, effectively denying parents, adult children or other guardians the chance to defend themselves before their loved ones are seized. Removed guardians and elder law experts say they’ve been forced to seek outside help because they don’t stand a chance in the courtroom. They say the probate system’s close-knit web of judges, court-appointed attorneys and nonprofit guardianship companies is impenetrable and stacked against families with no legal experience and few financial resources. State Sen. Jane Nelson, R-Flower Mound, says she heard “troubling” testimony about a lack of transparency in the guardianship process at a recent legislative hearing, including one mother who “was not notified of her own son’s death.” She says she’s looking into changing the law on ex parte hearings when lawmakers reconvene in Austin in January — a move that would face staunch opposition from probate judges and some disability rights advocates who fought for tougher abuse prevention tools in the mid-1990s. When Ceci was born on Valentine’s Day 1971, the doctor warned the Covingtons that they might want to give her up to adoption or an institution. But the couple treated her Down syndrome as a "gift from God." Chila Covington had a master’s degree in occupational therapy and had committed her career to working with children with disabilities. For the next 35 years, they showered Ceci with love and treated her like any other member of their massive extended family: She went to high school, played with her younger brother, took piano and swim lessons and became a fixture at family weddings and reunions. Her parents committed their lives to her development, using Montessori educational techniques, videotaping her progress and eventually helping her find work at a local department store. Once children with disabilities become adults, they often need legal guardians to manage their decisions, and Ceci was no exception. In 2001, the Covingtons sought and received guardianship of their daughter, an easy step they never dreamed they’d have to fight to maintain. Around that same time, they started to worry what Ceci’s life would look like when they were no longer around — and began investigating group homes. “I wanted her to be self-sustaining for when we’re gone,” Frank Covington says. It took years for the Covingtons to find a group home that they considered suitable, where Ceci would live with two young women she knew. Her mother was so nervous she spent the first three nights there with Ceci, helping her settle in. The first year at the Champion Services group home in Grapevine, Ceci thrived. The trouble started in 2007, the Covingtons say, when staffing changed. Ceci started having persistent headaches, and her mother took her from family physician to neurologist to sleep specialist. She was diagnosed with severe sinus problems, then sleep apnea. Her headaches and restless sleep led to crankiness and tantrums. From there, trust eroded on both sides. The Covingtons say Ceci's providers continued to push for psychotropic drugs and a psychiatric evaluation. The Covingtons were convinced the group home wanted a psychiatrist’s diagnosis so they would get more money for treating her. Finally, the Covingtons say, the staff at the group home threatened them — telling them they were going to report the Covingtons to Adult Protective Services for abuse and ask a judge to remove them as guardians if they continued to resist psychiatric care. The Covingtons were resolute; they’d been complaining to the state for months and figured the threats would give them more ammunition against the group home. The Covingtons never got their day in court. On July 13, 2009, they were notified that there had been an ex parte hearing in a Tarrant County courtroom and that, as a result, they were no longer Ceci’s guardians. For nearly two months, the Covingtons were kept away from her — unable to even speak to her on the phone. They frantically studied Texas’ complex probate code and called attorney after attorney trying to find someone to help them. They begged Ceci’s “advocates” — the attorney and guardian the judge had appointed to protect her — to let them see their daughter for one hour a week, and to bring her home for Thanksgiving and Christmas. On these visits, the Covingtons say, Ceci was often so drugged she could hardly stay awake. Every conversation, every call to the court, added to the Covingtons’ legal bills, which have now surpassed $55,000. The Covingtons aren’t the only ones fighting this battle. 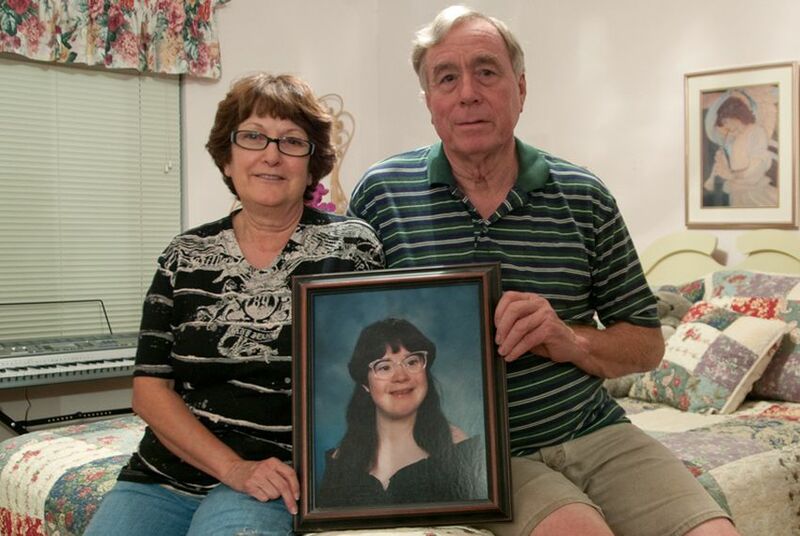 Across North Texas — and Tarrant and Denton counties in particular — families who have lost guardianship rights under similar circumstances have mobilized, reaching out to the media and demanding action from lawmakers. Debby Valdez, a San Antonio mom who runs an organization called GRADE (Guardianship Reform Advocates for the Disabled and Elderly), says the common thread among these cases is that families advocated aggressively for their relatives, and care providers used guardianship removal proceedings to retaliate. Lin Morrisett, associate judge in Tarrant County Probate Court No. 2, says the theory that judges are holding ex parte hearings “willy-nilly” is preposterous. In the last 30 years in his particular court, there have probably been 10 ex parte guardian removals, Morrisett says, including a case in which a guardian starved a ward. And sometimes, not even then. Garth Corbett, senior attorney with the disability rights watchdog group Advocacy Inc., says ex parte hearings are rare, and that parents almost never lose guardianship unless there’s clear abuse and neglect. It’s much more common for judges to defer to the parent or relative guardian, he says, even when they don’t act in the best interests of the ward. The most common example? Parents who want their disabled children to stay in institutions, Corbett says, when health care and behavioral specialists think they’d be much better off in the community. The Covingtons will finally get a hearing on their guardianship removal case next month, more than a year after they first lost custody of Ceci. In a twist, the judge who first removed Ceci from her parents recused himself from the case in July, following several families’ accusations against him at a legislative hearing in Austin. In the meantime, Frank and Chila take Benadryl to sleep. They cry constantly. They listen to the Rosary in Italian and Latin, praying for a miracle. They compulsively organize and reorganize the thousands of documents they’ve collected to make their case: that their four decades of experience caring for Ceci trumps anyone else’s.